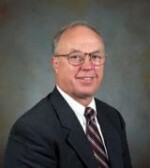 Dr. Allen serves as the chief administrative officer of the College of Health, Education, and Human Development. He provides leadership in long-range planning, budgeting, fundraising, and other activities that foster outstanding teaching, research, and service within the college. Prior to becoming Dean, Dr. Allen served as Associate Dean for Research and Curriculum Development for the college. From 1989 to 1996, he served Clemson as Head of the Department of Parks, Recreation and Tourism Management. Dr. Larry Allen, Dean of Clemson University’s College of Health, Education, and Human Development, provides an overview of community-based education, stressing shared ownership of the education and success of our young people across all sectors of every community. This framework will provide you with a new way of looking at education—which does not stop, nor should it stop, when students leave the school building each day. Learn what community-based education is. Find out how you can improve your community’s collaborative efforts in education. 40 Developmental Assets. (2004). Search Institute. Coalition for Community Schools. (2014). Rothstein, R. (2010). How to fix our schools. Koppich, J. E. (2014). Out-of-School Influences and Academic Success. Berliner, D. C. (2009). Poverty and Potential: Out of School Factors and School Success . Education and the Public Interest Center & Education Policy Research Unit. Henig, J. R., & Reville, P.S. (2011). Why Attention Will Return to Nonschool Factors.